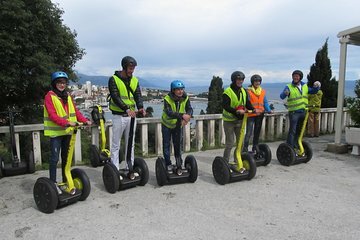 Viaje con facilidad por Split y vea los principales puntos destacados de la ciudad en solo un par de horas, en este tour en Segway para grupos pequeños. Conozca a su guía, póngase un casco y un chaleco de seguridad fluorescente, y familiarícese con su Segway. Una vez que se sienta cómodo, diríjase por el paseo marítimo de Riva, adéntrese en el Palacio de Diocleciano, vea lugares de interés como el Teatro Nacional Croata y diríjase al Parque Marjan para disfrutar de vistas panorámicas de la ciudad. Descubre lo más destacado de Split en el espacio de un solo tour. We would highly recommend this tour! Boris was a great guide. We were hoping to see more of the city but actually went through the very large park and ended up seeing some beautiful views of the city and getting a nice over view of Split. Wir war en nur zu Zweit und das erste Mal mit einem Segway unterwegs. Ivan hat uns alles erklärt und mit uns fahren geübt, bevor es losging. Er führte uns in den etwas außerhalb liegenden Park von Split ca. 12 km, mit dem Segway super zu machen, zu Fuß hätten wir das nie geschafft, da wir nur begrenzt Zeit hatten waren mit einem Kreuzfahrtschiff unterwegs. Ivan ging super auf uns ein, was Fragen und Pausen betrifft und zeigte uns Split und die wunderschönen Buchten von oben. Immer mal wieder Fotostop gemacht, viel wissenswertes über Stadt und Leute erfahren, dazu atemberaubende Aussichten. Ein toller Trip, absolut empfehlenswert. Einziges Manko: Vom Schiff aus war der Treffpunkt nicht gleich zu finden, was etwas schwierig ist, wenn man Termine einhalten muss. Danke Ivan! Very friendly guide. Had us on the Segways in a few minutes. Saw much more than we would have if we walked, plus it was great fun! Our tour of Split with our guide Boris was excellent. He spoke very good English and was very knowledgeable about past and more recent history. Fortunately we had ridden a Segway before and Boris was very safety conscious. It was amazing when he took us to the highest point overlooking Split the views were breathtaking and that coupled with the commentary from Boris made the 2 hour trip memorable. Well worth the money and a great way to see the city. We did have some difficulty locating Boris initially as he uses a mobile desk. Of course, seeing Segways parked close by is a good location indicator! More specific details of location would be useful. This was very nice and Borris our guide was very informative. It was only to short. Probably our favorite tour...We had so much fun. Our guide was incredible. He instructed us in safety on the Segway and off we went. It was a great way to see Split and do it while having so much fun. Along the way we were given information and allowed to ask all the questions we wanted about Split, Croatia and what daily life looks like now as opposed to the past. Don't miss this tour!!!! 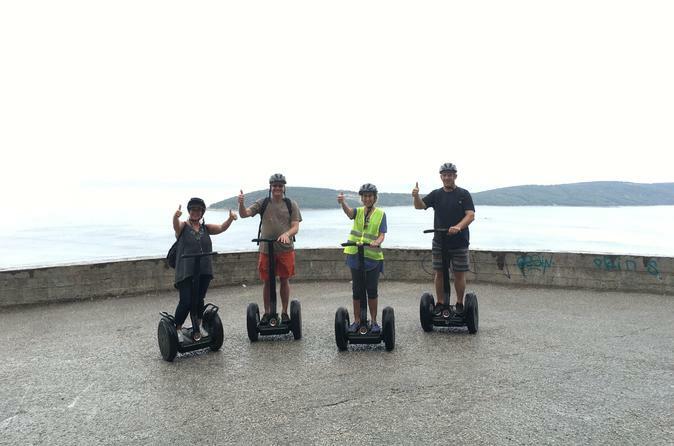 We had SO much fun in Split on our Segway Tour! Completely recommend! !